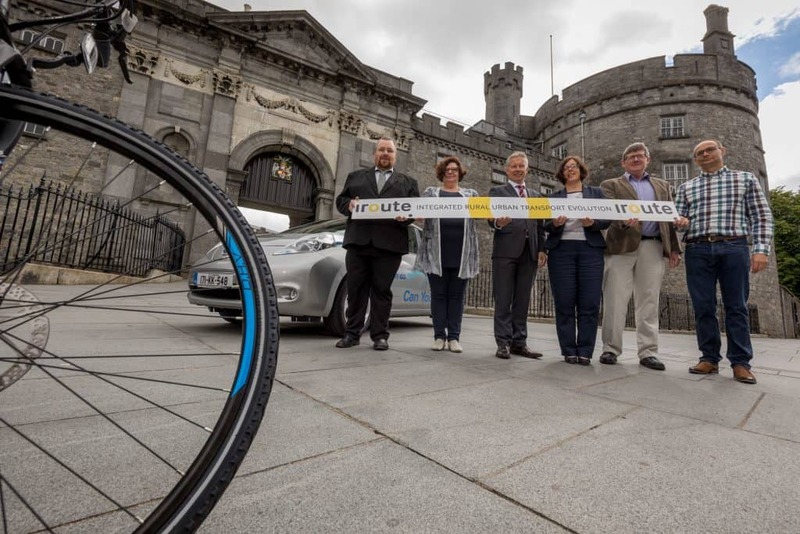 The iRoUTE conference was spearheaded by the Kilkenny Integrated Transport Action Group. Held in June 2017, LEADER funding supported the interactive and proactive iRoUTE conference. Stakeholders came together to reflect on good practice towards developing an integrated public transport system, focusing particularly on rural areas. Following presentations outlining regional public transport initiatives, participants reflected during workshops and formulated ideas around an integrated public transport system for Ireland. The iRoUTE conference provided a key driver leading to the development of a Comprehensive Mobility Plan for the Kilkenny region. The knowledge and networks have also influenced broader activities of the action group and its members. The conference was attended by over eighty transport providers, regulators, international experts, practitioners, academics and community interest groups from throughout Ireland. To progress the integrated transport initiative, the Kilkenny iRoUTE stakeholders met and developed a project based on the concept of ‘basic mobility levels’ used in Belgium and elsewhere in the EU. They also commissioned a study to develop a ‘Comprehensive Mobility Plan’ for the region, with the intention of using it to access resources to create the desired integrated transport system. A number of actions emerged from this study and focused around five key areas: structures and strategic planning; representation, communication and advocacy; funding and finance; provision, integration and connectivity; and modal shift. Specific actions that were part of the plan included highlighting the need for continuance of the iRoUTE conference as a forum to build collaboration potential and share knowledge. The potential to create a nationwide transport stakeholder network was explored through a follow up meeting. Adequate resources were not available to progress this however it remains an action to be explored as part of the Comprehensive Mobility Plan. The iRoUTE conference publicly brought Kilkenny LEADER Partnership in contact with a Scottish LAG with similar transport concerns. This in turn has led to a trans-national LEADER cooperation project with Cairngorms LAG on the development of an integrated transport system in their respective regions. The conference also helped to stimulate thinking around public transport beyond what bus transport can offer. Kilkenny LEADER Partnership is also now exploring the possibility of developing a LEADER cooperation project focusing on a public bike scheme for Kilkenny. This project would see Kilkenny LEADER Partnership working with Velenje in Slovenia, which is a similar size to Kilkenny and has a successful bike sharing scheme ‘SYSTEM BICY’. This project was supported as part of the LEADER Programme 2014-2020 under Theme 2 ‘Social Inclusion’ and Sub Theme ‘Basic Services Targeted at Hard to Reach Communities’. The Local Action Group and Implementing Partner is Kilkenny LEADER Partnership.